Educational institutions need to develop and deploy a wide variety of database applications from E-learning and student assessment applications to tuition payment processing systems and IT infrastructure applications. At the same time, schools and universities are under constant budget pressure, and need to find a cost-effective solution that frees up funding for other high priority projects. MySQL is a proven, cost-effective database widely used by educational institutions worldwide to automate many of the academic and administrative processes. It is also one of the most popular databases used in teaching curriculums and by scientists in research institutions. MySQL provides faculty, students and administrators with the following benefits. High Performance and Scalable allowing healthcare providers to deploy large installations that process high volumes of data. Reduce Database TCO by 90% - MySQL is proven to save organizations millions of dollars in software licensing, maintenance, training, and administration costs, making it a great fit for budget conscious schools. Zero Administration - Educational institutions can't afford to hire dedicated DBAs to manage their software applications. MySQL "Just Works" enabling educational IT staff to focus their resources on high value projects. Support for 20+ Platforms Including Mac - Educational institutions and ISVs have the flexibility to deploy applications on PCs and Macs. Small Footprint - MySQL is a good fit for deeply embedded applications with a footprint of less than 2 MB. MySQL runs transparently to the end user, so your customers are unaware that a database is embedded within your application. This is great ISVs who are distributing education software that needs to run on a mix of new and old hardware systems. Developer Flexibility - MySQL gives educators the flexibility to use the development language, software stack and architecture of choice to leverage their existing skills and customize their applications to meet their unique requirements. 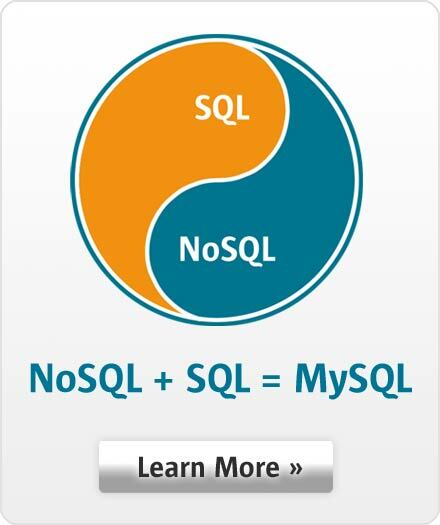 Easy to Use - MySQL is recognized for its superior ease of use. The fact that users can get MySQL up and running in minutes rather than days enables organizations to develop and deploy customized healthcare applications much faster. Make Reporting Easy - Educators need to capture vast amounts of data to help them improve student performance and evaluate resource investments. Storing this data in a relational database rather than a file system, gives you the ability to use standard reporting and business intelligence tools to turn that data into information. MySQL Enterprise Edition - MySQL Enterprise Edition includes a comprehensive set of advanced features, management tools including MySQL Enterprise Monitor, MySQL Enterprise Backup and MySQL Enterprise Security to achieve the highest levels of scalability, security, reliability, and uptime. Scholastic is the world's largest publisher and distributor of children's books and a leader in educational technology. The Scholastic Achievement Manager (SAM) is a powerful dashboard for managing reading achievement. Built to scale across large districts, it powers Scholastic's student technology applications including READ 180, Scholastic Reading Inventory (SRI), and ReadAbout. The European Organization for Nuclear Research (CERN) is one of the world's largest and most respected centers for scientific research. CERN delivered a MySQL Database-as-a-Service offering to the CERN employees and the scientists associated with the organization allowing researchers selecting MySQL for their project to get access to a database instance hosted by the CERN IT department, either from the start or once their application has become critical. The College of William & Mary, founded in 1693, is the second oldest college in the United States. To enforce the College's strict security policies, William & Mary developed a role-based Network Admission Control (NAC) system that ensures that all students, faculty and guests have secure access to their respective networks and resources. The School of Everything is a website that helps people who want to learn meet up with people who want teach. School of Everything chose to deploy MySQL and Drupal on Amazon's Elastic Compute Cloud (EC2). eSchool Solutions is a leading provider of educational management solutions specifically designed for the preK-12 education community. Using MySQL, eSchool Solutions developed the most comprehensive absence management solution to over 700 school districts across North America. The University of Duisburg-Essen (UDE) is one of the largest universities in Germany with 31,000 students and has deployed over 600 MySQL databases.